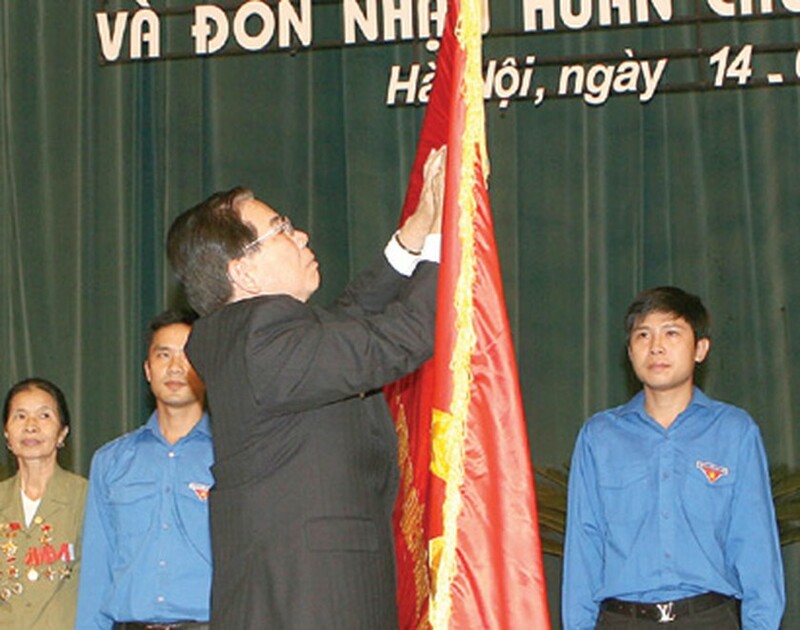 State President Nguyen Minh Triet pinned the Order of the Gold Star to the flag of the youth volunteers on July 14 in a meeting to mark the force’s 60th anniversary. Triet said that the award was in recognition of the great contribution to national construction and defense that the youth volunteers have made. 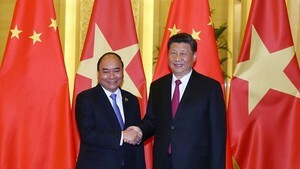 “The founding and history of the Vietnam youth volunteers’ forces are associated with milestone events in the nation’s glorious history, such as the wars of resistance, the victory at Dien Bien Phu, the struggles for national salvation and reunification and the movement for building new settlements,” said the State leader. He reiterated that the Party and State have paid a lot attention to updating policies and regulations on social welfare in favor of the youth volunteers to improve their living conditions. Triet hailed the Ex-Youth Volunteers’ Association as a bridge that has spanned different generations of veterans to help each other in life and work together with reducing poverty. He urged the association to uphold the force’s tradition from generation to generation in an effort to safeguard the country and contribute to building a prosperous and powerful Vietnam. Also present at the celebrations was the Vice Chairman of the National Assembly, Nguyen Duc Kien, who awarded the youth volunteers’ force in the battle of Dien Bien Phu and the youth volunteer force codenamed K-53 with the title People’s Armed Forces Hero. The Ho Chi Minh Communist Youth Union took the opportunity to confer certificates of merits on 60 individuals including ex-youth volunteers, who fulfilled their missions during the wars and volunteers during the new era of development for their great achievements in the movement to “Study and work following Ho Chi Minh’s Moral Example”. The meeting on the morning of July 14 was also attended by the former General Secretary of the Communist Party of Vietnam Le Kha Phieu, CPV Politburo member and Hanoi Party Secretary Pham Quang Nghi as well as 1,000 youth volunteers and veterans. On July 15, 60 years ago, the first youth volunteers’ force was founded to provide logistical services for the war under the decision of the then President Ho Chi Minh.